Zex offer some amazingly simple but very advanced nitrous systems, Their modular setups mean that you can start with the basics and build from your base kit to the level you ultimately want. 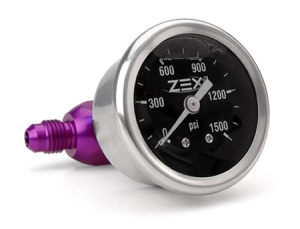 The ZEX™ Wet Nitrous Kit is a universal kit that is designed to work safely on stock type engines but is also engineered to perform flawlessly on highly modified turbocharged and supercharged applications. 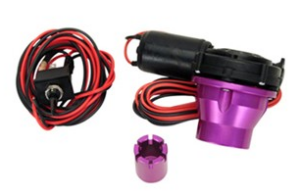 It is a simple installation and the kit includes proper tuning jets, a range of fuel tap fittings, solenoids, filters and activation electronics that are factory pre-assembled in the Nitrous Management Unit. Kit comes with a 10lb bottle. Suitable for Mazda RX-7 FC3s, RX-7 FD3s, and RX-8 This item is special order, please allow up to 6 weeks for arrival. 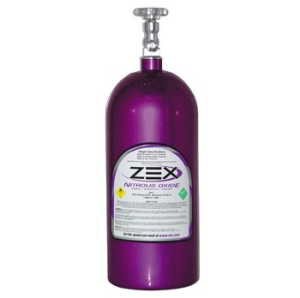 Zex offers this additional 10lb nitrous bottle in the siganture Zex deep purple. 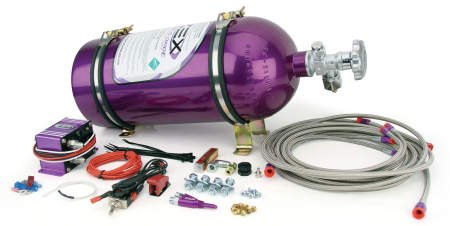 An extra 10lb of nitrous can make a big difference to just how long you can run your system. All Zex items are special order only so please allow up to 6 week for delivery. 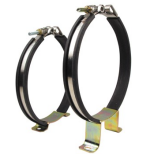 ZEX™ Bottle Brackets are a durable and easy to use solution for mounting any 10 lb. or 15 lb. nitrous bottle. These brackets feature rubber strap covers that protect your bottle’s finish from damage and have convenient to use wing nuts so that no tools are required to remove the bottle. All Zex components are special order only, Please allow up to a possible 6 week for delivery. 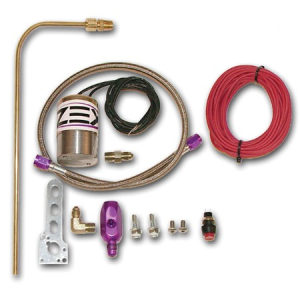 This Thermostatically controlled Nitrous bottle heater kit is the perfect solution for achieving optimal performance from your Zex Nitrous system. 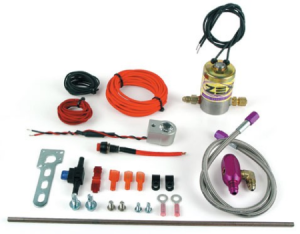 Kit includes everything required to upgrade your system to a heated bottle setup, including switches and connectors and cable. All Zex parts are special order only, please allow up to 6 weeks for delivery. The Zex remote bottle opener kit take the hassle out of opening your bottle when installed in your boots pace or any other area that is not easily accessible from the drivers seat. A;; Zex components are special order otems, please allow up to a possible 6 weeks for delivery of your order. All Zex Parts are special order only, please allow up to a possible 6 weeks for delivery of your order. 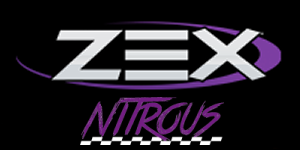 ZEX™ Nitrous Purge Kits ensure instant nitrous power off the line by clearing the delivery lines of unwanted vapor, putting pure liquid nitrous at the nitrous solenoid, where you need it most Fits -4AN nitrous bottles (included w/ most ZEX™ Nitrous Kits) Includes everything required to setup your purge valve upgrade. All Zex Components are special order only, please allow up to a possible 6 weeks for delivery of your order. The Zex illuminated Purge Clouud Kit is a set up from your normal kit. This kit will illuminate your purge cloud in either red of blue depending on what kit you choose. Please make your color selection from the drop down menu. All Zex parts are special order only, please allow a possible 6 weeks for delivery of your order. Other lengths up to 24ft are available on request. All Zex Components are special order only, Please allow a possible 6 weeks for delivery of your order. We have access to the full array of Zex' product range, what we list above is simply a small specific range that we have found are applicable to the rotary engine. If your looking for a Zex part, product or kit and cannot find it above, please get in touch and we will be happy to help you with your search. The Black Halo Racing Shop where you will find the Excellent BHR Ignition Kit and BHR Throttle Body Spacer, The Spacer is the ideal solution for easy installation of your nitrous nozzles. 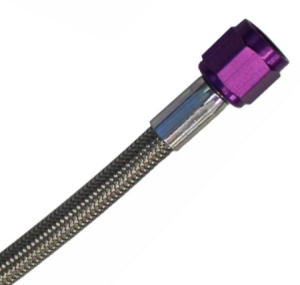 The Aeromotive Fuel Systems If your Installing your Zex kit in to an RX-8 then we can highly recommend the Aeromotive Fuel Line Adapter to make for a professional looking leak fuel line install.